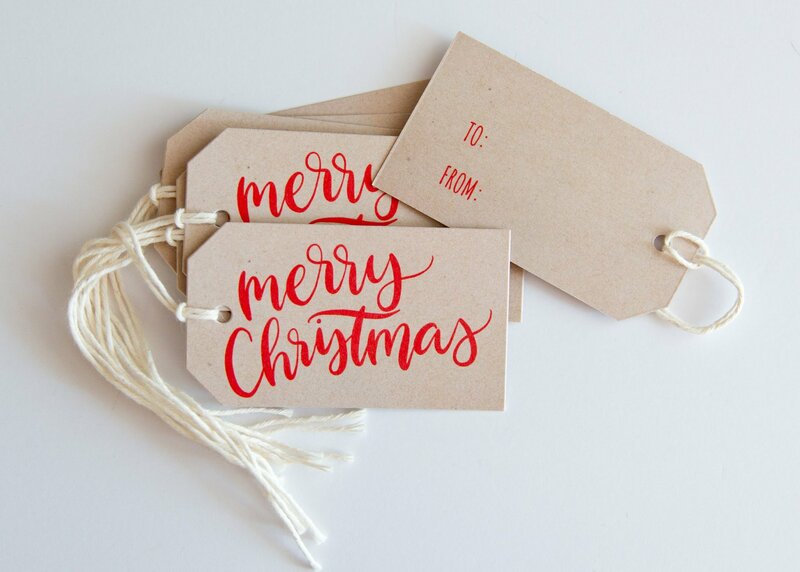 View cart “Hand Lettered Happy Holidays Gift Tags” has been added to your cart. Hanging gift tags on a Christmas present adds such a thoughtful touch! Attached to a wrapped present or gift bag, this hand lettered "Merry Christmas" greeting on digitally printed pale gray paper is sure to make the recipient feel special. These Christmas tags measure 2×3.5" and arrive with the strings attached. They’re sold in sets of 8 and are printed on 120 lb uncoated stock.